What is the Ladies Offroad Convention? The Ladies Offroad Convention is an action-packed, interactive 4-day weekend educating, motivating, and guiding all offroad ladies. Our 3rd Annual 2019 Convention will be held in Atlanta, GA August 1-4, 2019. Ladies will have many hands-on opportunities to gain all types of offroading skills, learn and engage with other offroad ladies as they share their stories, and most importantly laugh the whole way! YOU! Every offroading Lady out there should be in attendance! Whether you are a driver, co-driver, racer, passenger, mother, business owner, worker, or hobbyist, you are welcome. We aim to meet the needs of every lady who loves offroad by providing a space to learn more about offroad activities, plus share experiences and stories with other ladies that share the same passion. 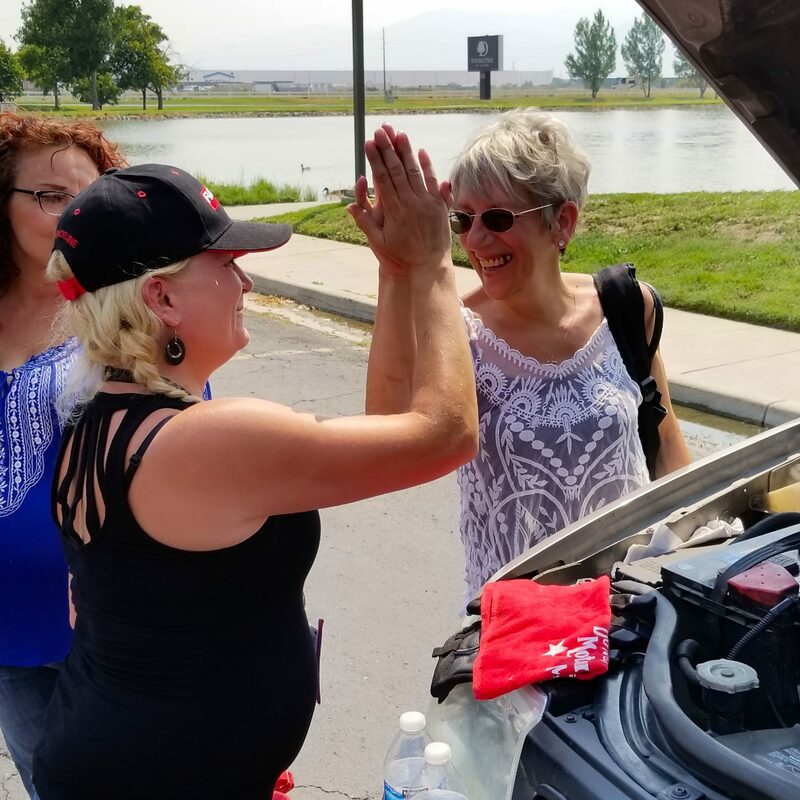 Ladies at every level of offroading will find something to participate in and push themselves to learn more in a comfortable and fun environment. 4x4, MX, ATV, SXS Enthusiast, Racers and Business Owners are encouraged to meet like-minded ladies. No vehicle is necessary, in fact, it is discouraged. Ladies 18 years or older are welcome. Mothers or guardians, feel free to bring your daughter. 13+ years old can attend accompanied by an adult. LIMIT: Attendance is limited and will sell out. Rate will go up to $550 June 1st. PRICE INCLUDES: Two days of Instruction + Exciting Adventure + Multiple Activities & Parties + All Meals for 4 days + Transportation to & from Airports and Events. Essentially, it is an all inclusive-price. You are responsible for your travel expenses to Atlanta, lodging, and any additional alcohol beverages. $500 Per Person + you can add one friend or family member for only $250! Buy One, Get One Half Off! Save Your Place non-refundable deposit of $100 is available today. Registration must be paid in full by June 30, 2019 or the opportunity will diminish as seats are filled. Click here to save your spot! Price is all-inclusive, excluding travel, lodging, and alcohol. Reserve your hotel room -group rate information, and traveling to the event: click here. Minimum 18 years old, 13+ years old if accompanied by an adult. Thursday we will start the activities as soon as you arrive and check-in with our welcoming staff at 10am. There will be a couple dozen stations set up around the conference room where you can learn something new or test your skills. Simple, fun but may also be challenging. Our vendors and partners will also have booths to stop by. Of course we will add a little competitive spirit to the afternoon, so don't plan on coming in at the last minute. Some examples of a station would be "How to make a Rescueband Bracelet", "How 4-Wheel Drive is Engaged, the Mechanics", "Tricks and Tips for Cooking over a Campfire", "How to Tie Knots". Each station is built to be a casual 15-20 minute stop. These unique stations will be ideas of, and hosted by, our 2016 Ladies Co-Driver Challenge Top 10, the 2017 & 2018 Ladies Offroad Challenge Top 10, and our Brand Ambassadors. You will get to meet and interact with ladies you have cheered on during the challenges and events throughout 2016, 2017 and 2018. On Friday, you will get the chance to choose 4 seminars of your choice in addition to one required seminar that everyone will attend. The seminars are built around various aspects of offroading. We encourage you to attend one where you feel confident in knowing most of the information and can sharpen your skills and then, step outside of your comfort zone and attend seminars that push you to try something new or attack a skill you have always wanted to learn. All of the seminars are hands-on and may be outside or inside, depending on the topic. Ou r"Offroad Recovery & Driving" seminar will be required and will cover safety, spotting, and pulling a winch line! (Don't worry, it's actually fun!) Additional seminar topics will include: "Recovery 101", "Recovery 202", "Recovery 303""Outdoor Photography", "How To Back Up a Trailer", "Racer Strategy", "Offroad Marketing for Business and Racing", "Vehicle Sympathy and Maintenance", "Navigation 101", "Offroad Business Round Table", "Kids on the Trails", "Cooking Outdoors", "Overlanding 101", and more. If you have a seminar topic that interests you, please email us for consideration. You will be able to choose your 4 seminars in order of registration. Register early to be at the front of the line! Seating for some seminars may be limited and will sell out. Atlanta offers a variety of outdoor activities for offroad enthusiasts. On Saturday morning we will leave the comforts of the convention center and go a couple of very intriguing places. We will be participating in some outdoor and indoor activities for a full day. Fitting the theme for the weekend, we hope that you will try something new and step outside of your comfort zone. Thursday and Friday evenings we will utilize our time learning from some of the strong women in the Offroad Industry. Each has a completely different story, outlook and communication style to deliver a motivational and intriguing message. We love to indulge in excellent food and we have scoped out the best opportunities for our breakfasts, lunches and dinners - and of course snacks! We are aware of special diets and can help accommodate them. We like to party! Each night we will host a themed party that will bring some entertainment and fun to the dance floor. Enjoy a nice glass of wine with new friends or hop out onto the dance floor and show off your skills! Owning a Small Business is a challenging tasks - we know! Meet with other like-minded offroad business owners in a round-circle environment to work through challenges and solutions. Charlene will also offer multiple classes on business and marketing. Lady Racers, we will have a couple special programs for you to attend. Learn more about Racer Marketing and Strategy, plus network with other racers that can help with building your competitive advantages. Guaranteed to leave with a solid fan base too! All the ladies in attendance will be similar in nature to yourself. Fun, excited to learn, willing to jump outside the box, and looking to meet others. Through different activities you will get to meet and work with the whole group. Who doesn't like to shop? We will have our Ladies Offroad Network store open, featuring new items, trinkets, and offroad products. We will have the I'm Not Just a Girl line on display alongside our Partner and Sponsor booths that will be offering special discounts and opportunities specifically for the Ladies in attendance. The industry professionals working the booths are here specifically to help engage, educate, and encourage women in offroading. So, please take time to speak to each and utilize their knowledge in this unique opportunity. Giving back, helping others, and being kind are extremely important to Charlene. There will be a 24 hour Charity Corner set up where Ladies can help build something awesome. 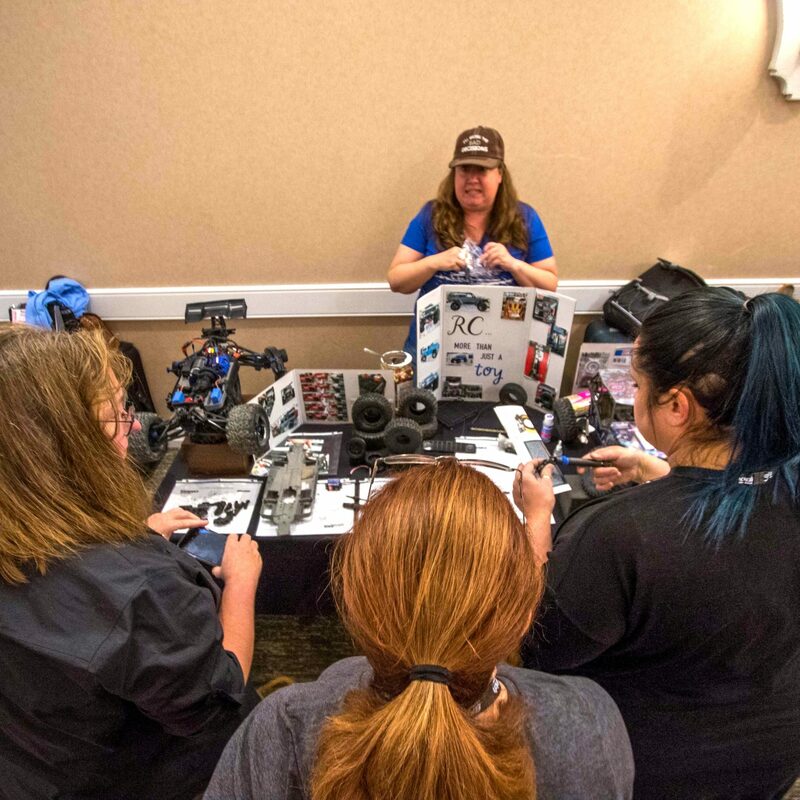 Then, the final event of the Ladies Offroad Convention weekend will be built around helping and motivating others with the skills learned over the weekend. This event is listed as an optional event to allow ladies to travel early if needed. We sincerely hope that everyone will have the opportunity to stay and participate. Details will follow when appropriate.